Arnold Schoenberg acknowledged Brahms' extraordinary skill in opening out classical forms to new horizons. Some 20 years separate the composition of the cello sonatas of this composer preoccupied with the inner existence, who for all his respect for form was no academician, but continued in the style of Beethoven. 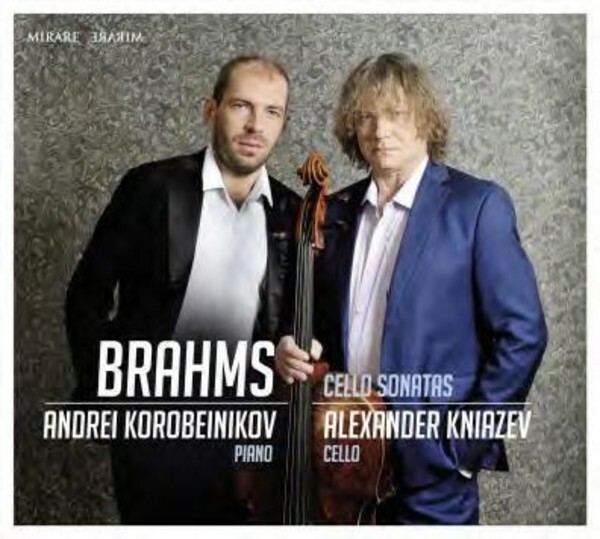 They represent perfect examples of the artistry with which Brahms resolved the textural problems raised by the combination of the two instruments. Alexander Kniazev�s discography includes recordings of chamber works by Bach, Mozart, Brahms, Rachmaninov, Shostakovich, Chopin, Franck and Ysa�e, an anthology of works for cello by Reger, Dvoř�k�s Cello Concerto, Tchaikovsky�s Variations on a Rococo Theme and Bloch�s Schelomo among other pieces. He has frequently appeared in a trio with Boris Berezovsky and Dmitry Makhtin and, more recently, with Nikolai Lugansky and Vadim Repin. The musician�s discs have received high praise in expert ratings and have been awarded prestigious prizes, including Germany�s Echo Klassik, France�s Diapason d�Or and Britain�s Gramophone Prize.